Pench National Park, in Madhya Pradesh, India is yet another Tiger Reserve known for some spectacular sightings of the majestic animal. During our visit there, we stayed at Taj Bhagvan, a lovely property on the fringes of the national park. 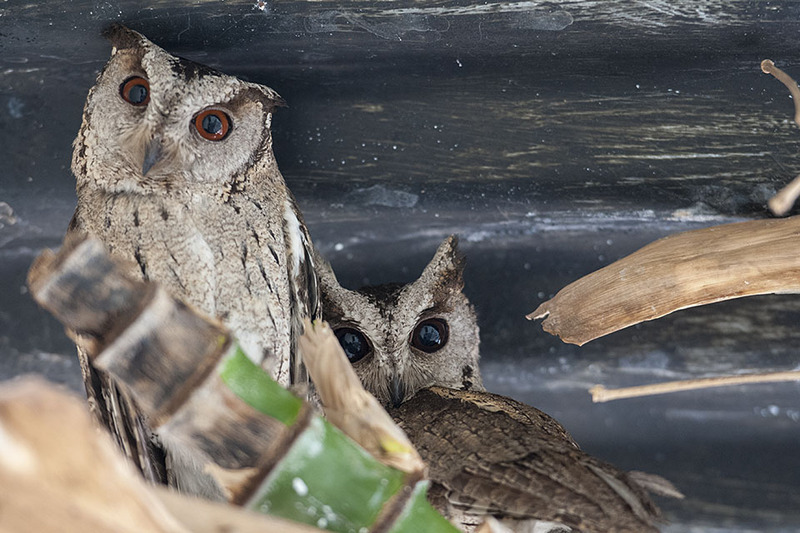 During our safari, we had evinced interest in sighting not just the Tiger, but also birds. 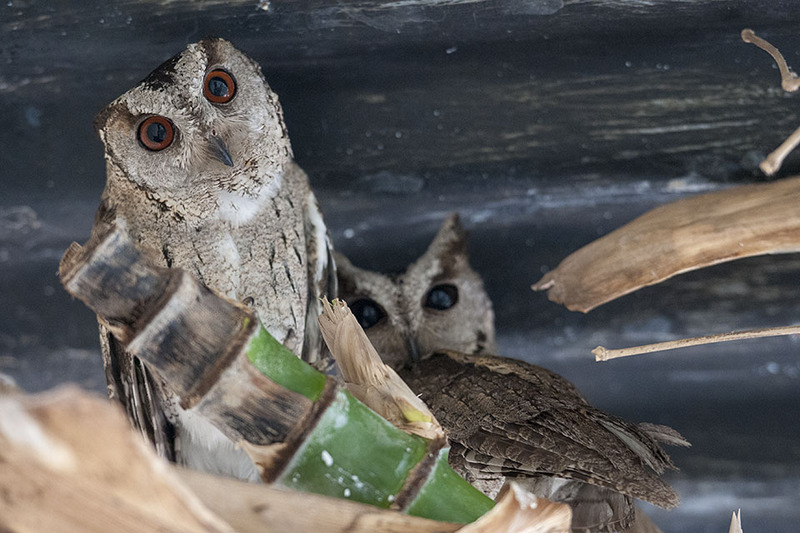 Seeing the interest we had in birds, especially the Crested Hawk Eagle, the naturalist at Taj promised us a little surprise at the lodge. 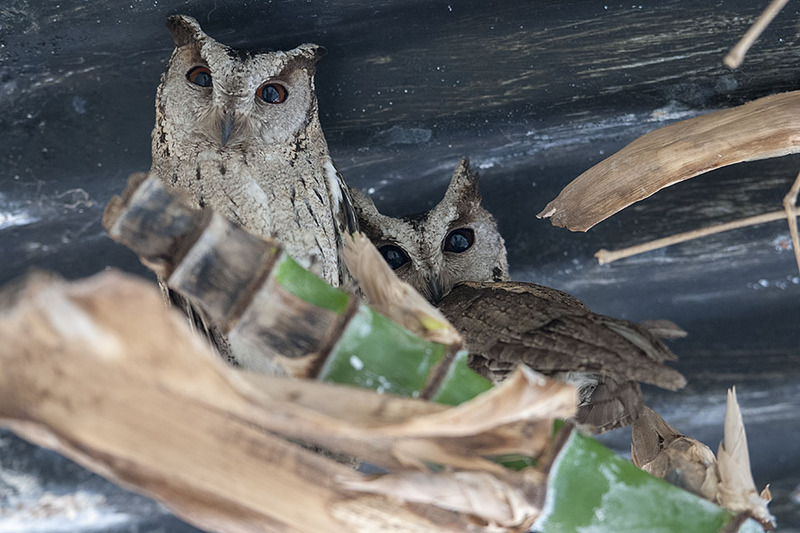 When it was time to go on the afternoon safari, he pointed out to a pair of Collared Scops Owls that had made the lodge their home base for the summer. 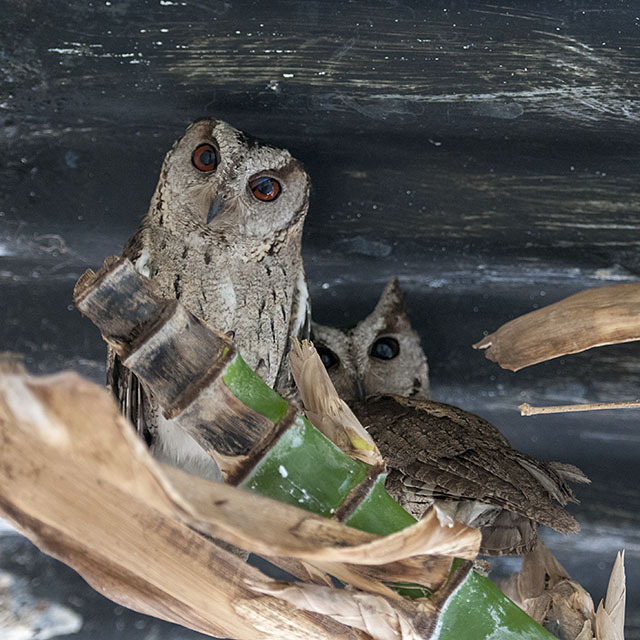 We were fascinated by them and managed to click a couple of good pictures before heading out on the hot afternoon safari. 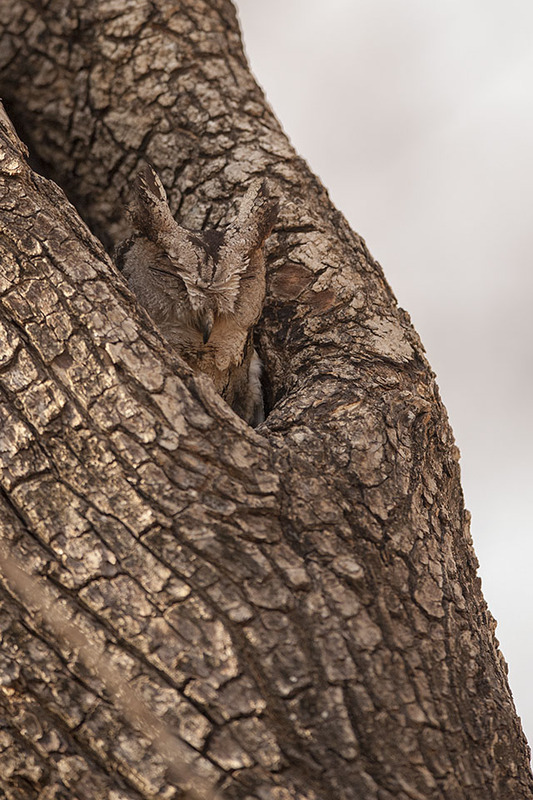 And what is the first bird that we encounter while on the safari – you guessed right – it was the Collared Scops Owl roosting in a hollow bark of a tree. It was beautifully camouflaged. After taking a couple of shots, we continued on our drive and spot our first Jackals of the trip. 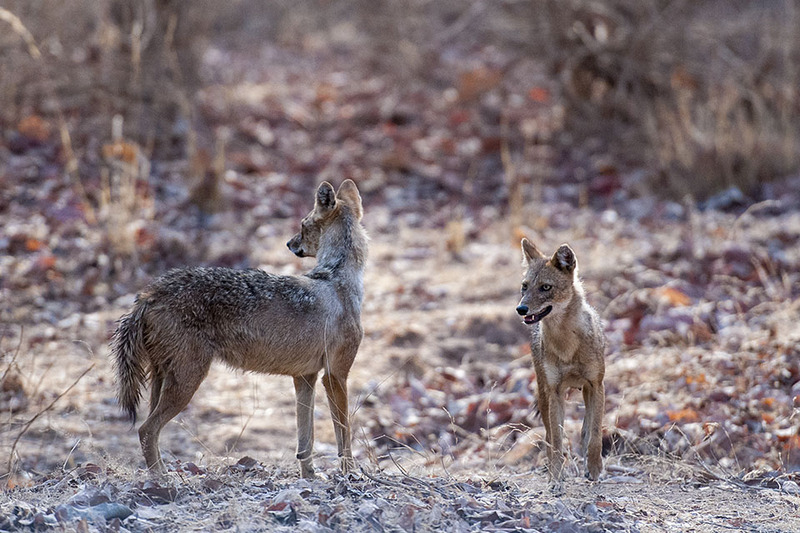 Pench National Park is known for amazing sightings of the Jackal. Little did we know that it would be Jackals all the way for the rest of the safari.